A unique container that keeps your fresh salad ingredients separated until you're ready for lunch! 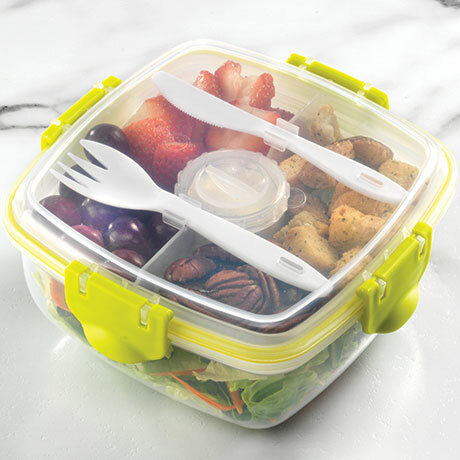 Easy locking clips, a separate dressing container, plus utensils that lock in place. BPA Free. Dishwasher Safe. Approximately 4 1/2 cup capacity. 6 1/2" X 6 1/2" X 3 1/4"